May was a super busy month for us. Our first outing being on the 2nd and I was so incredibly proud of the baby girl Arrow. 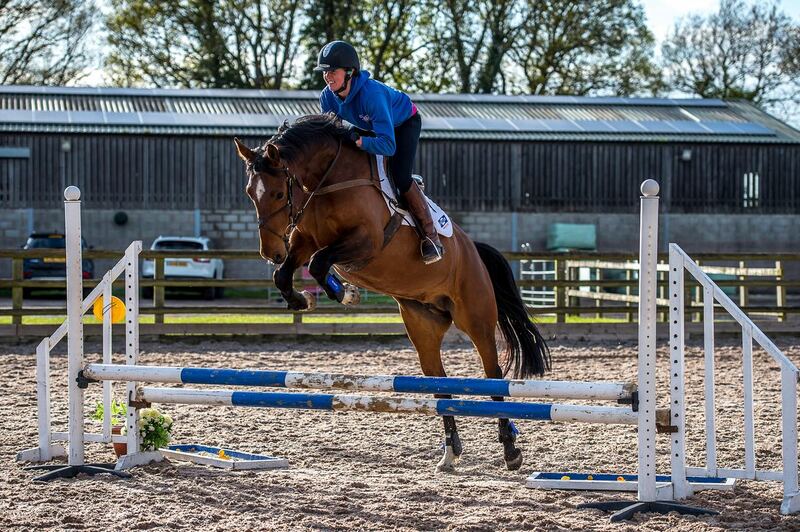 She had her first showjumping outing in public at S and G Equine Ltd Weaver Equestrian and was a total star. Completely unfazed by the others warming up etc. and jumped 3 rounds. 2 clear and 1 with 4 faults, just lowered a pole due to being tired. But she jumped planks and water trays, and even went between the spooky pigs without spooking. The future’s looking bright!!! I can honestly say I am really enjoying bringing on this beauty. 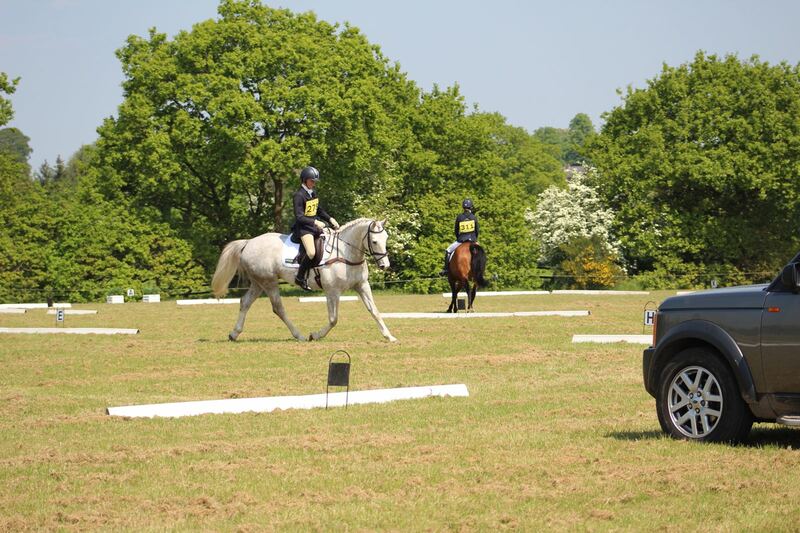 On 13th I headed to Llanymynech Horse Trials with Percy for the Novice. It was a beautiful day and we got to catch up with lots of friends. If I’m honest I was a bit nervous about stepping back up to Novice for a few reasons. It had been 13 months since I last rode at Novice, I’d had a baby in that time so am quite out of practice over the bigger fences and also last time out at Weston Park I had a silly fall. But our day started well with a good dressage of 30 in a test which didn’t particularly read very nice, but actually rode better then it sounded. He even got 8’s for his leg yields. 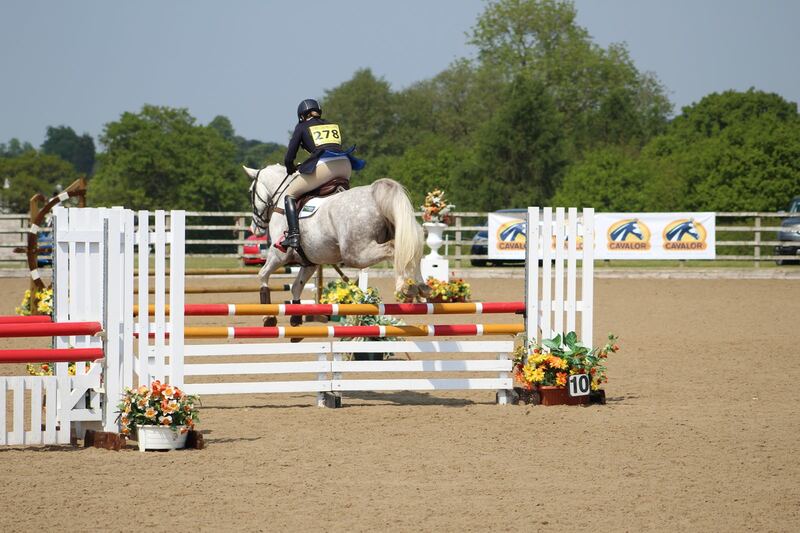 In the showjumping we were clear to fence 8 but then lowered that and had the middle of the combi down at 9. Such a shame as he was really pinging but just ran on a bit too much at the end of the course. Looking back I should maybe have made him wait a bit more but he was quite happy going on flyers and I’d already decided I was going to ride quite a forward round having been a tad spooky first time out on grass this season. On to the cross country we went and well what can I say?!?! My horse is totally awesome. I’d been particularly worried about fence 7, a double of corners on a right had bend. I think because it was similar to what I fell at in our last Novice but I didn’t need to worry at all, just man up and ride a positive line. Having walked it a few times the line that walked best was a forward 4 strides on a straight line but there was an option of putting in a slight right hand curve, but with him being so bold in the SJ I decided I would be best going for the straight line and getting him to lock on to the fence as a double on the approach to the first corner. I needn’t have worried, he didn’t waver off his line at all and gave me a fabulous ride through the combination. In fact he gave me an awesome spin all round the course coming home nicely inside the time. 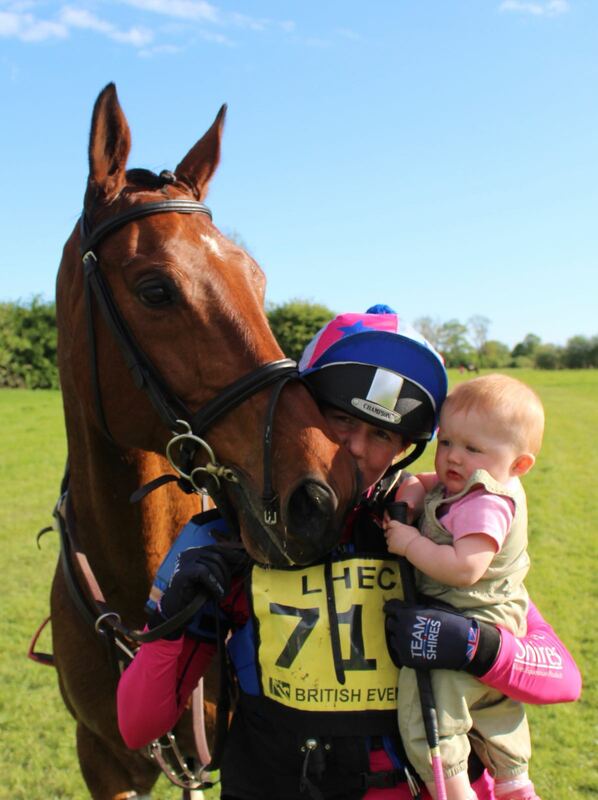 I thoroughly enjoyed it and he reminded me exactly why it is I love Eventing so much. And to be sent a video of us jumping the trakehner by the fence judge the following day, saying we were one of the best combinations over that fence all day is a real confidence boost. I was on cloud 9 after our run, despite our second fence down costing us 6 places and £72. On 14th I headed to S and G Equine Ltd Weaver Equestrian for the first of their summer dressage league shows. 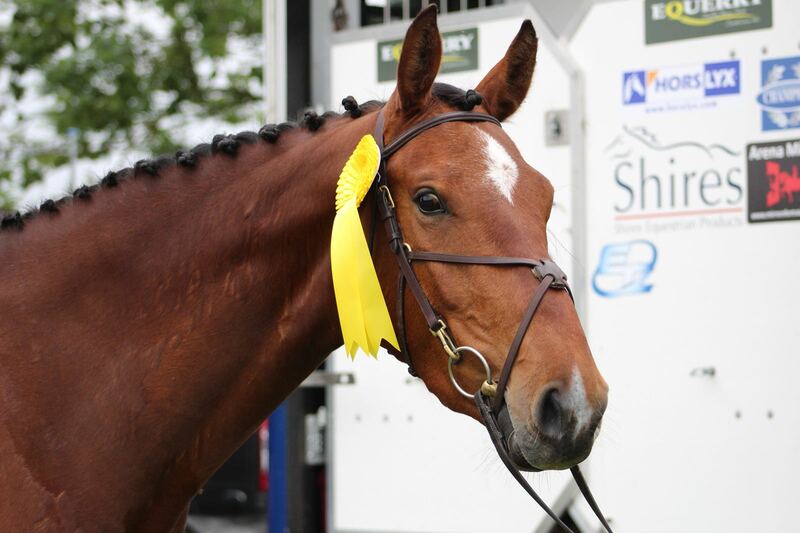 It was the first time Arrow had been to a competition with company on the lorry, one of which was her brother Elfie. Luckily she was a complete professional and did a pretty much foot perfect test in Prelim 12 for 76.11% taking =1st. Next up was Elfie also in Prelim 12, he’s not been in the white boards for a while but didn’t let that stop him pulling a 75.37% out of the bag for 2nd (yes nearly 0.8% behind his little sister, 2 tiny little marks but sssshhh don’t tell him). On to Novice 24 with Florence and apart from getting a tiny bit tight in her back in the canter she did a lovely test for 76.52% and 1st place. Well I can honestly say I thoroughly enjoyed myself on the 19th at Somerford Park Horse Trials. I went with two lovely horses, a great support team, two well behaved doggies, a well behaved baby and got to catch up with lots of my eventing buddies. Neither Elfie nor Florence had evented for some time, Elfie a year because I’d been off having Harriet and Florence nearly two years because she had also had a baby but they were both fabulous. 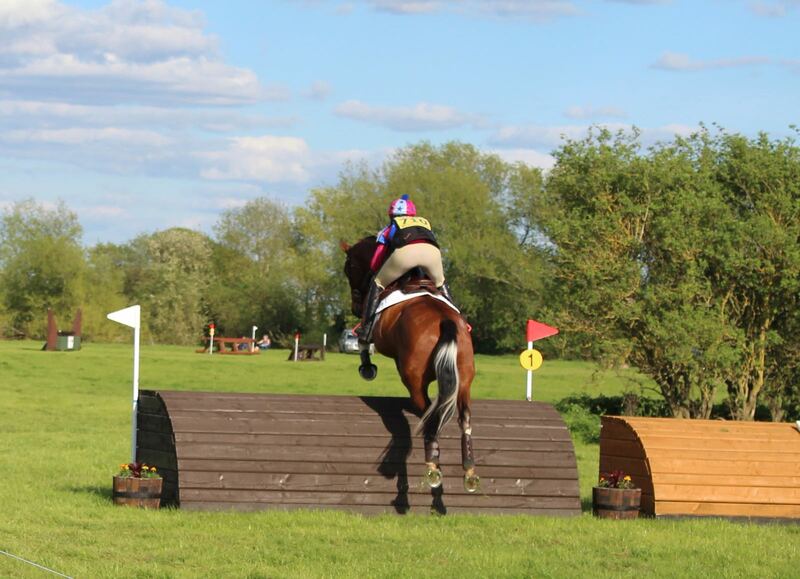 Elfie was in the 90 and did a really lovely test scoring 33.3, showjumped beautifully, although jockey error made him lower a fence because she interfered when it wasn’t required and then he sailed round their fabulous cross country course clear inside the time. Florence was in the hotly contested 90 Open. I was totally thrilled with her dressage test minus one little blip in a serpentine, where she took half a stride of canter, she scored 33.5. 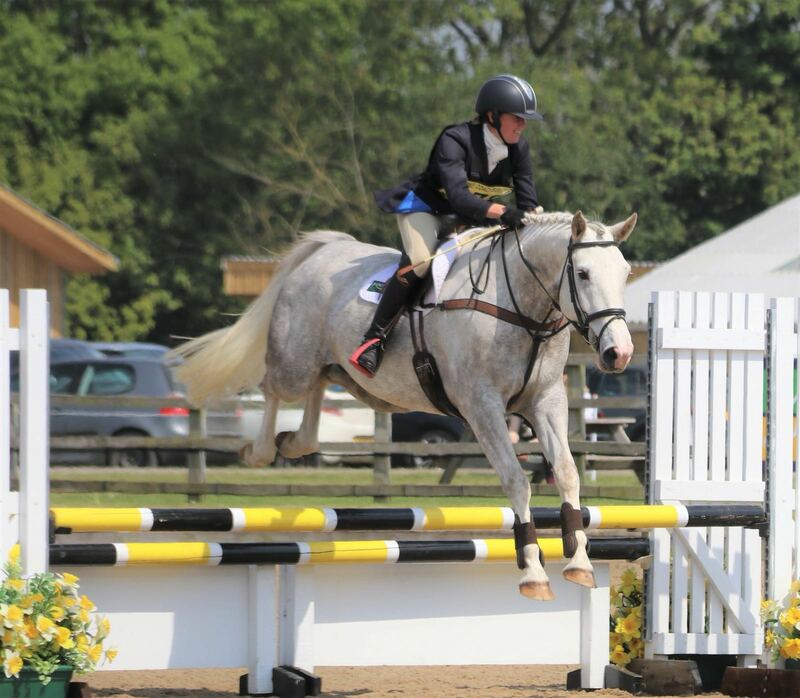 Then she show jumped impeccably and certainly didn’t disappoint across the country finishing on her dressage score. No great placings to shout about but the ponies were totally ace. We followed our day off with a lovely tea party back at Queen Wendy the Wagon to celebrate the Royal Wedding and the sun being out. On 23rd it was safe to say that the day before Frankie’s 19th Birthday on his first dressage appearance since September he STILL thought was a 4 year old. 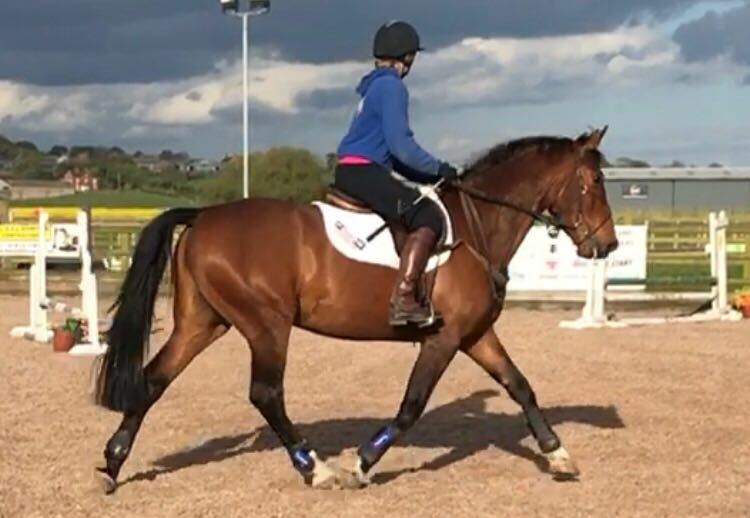 He warmed up beautifully at S and G Equine Ltd Weaver Equestrian for Novice 24 and once he stepped foot inside the white boards he grew and left 15 years of ridden experience in the warm up. All was not lost, we did manage a fabulous give and retake in the canter for an 8. He still got 71.73% for 3rd but he could have done soooo much better!!! On 27th we had a totally incredible day again at a charity show for Birmingham Children’s Hospital. I had Frankie and Arrow on board along with Mr Pegs. Frankie won the Ridden Veteran 15-19 year old and went on to win the Veteran Championship. He won the Open Working Hunter and was Reserve Champion Working Hunter. Then Arrow was 2nd in her Prelim 2 and won her Ridden Sport Horse Class. 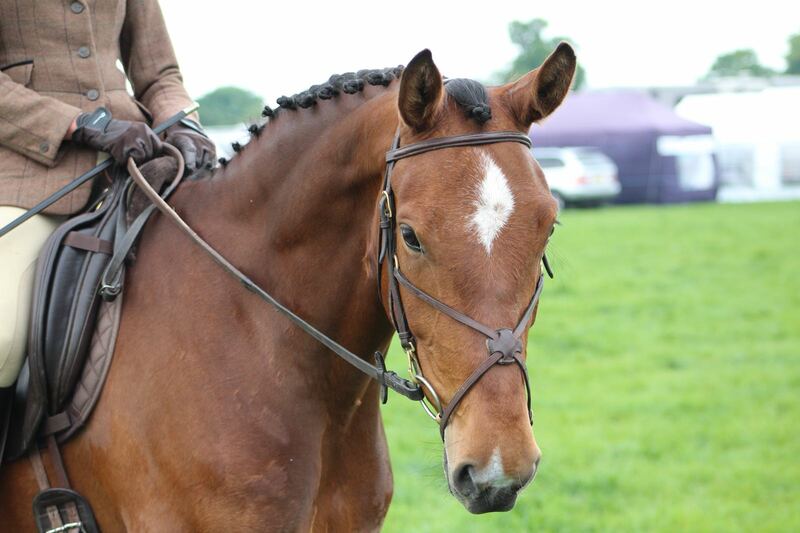 Considering it was her first ever show and on grass she was impeccable. Mr Pegs was doing his first show with Larissa, the 13 year old girl that comes to help me, who had never competed before. They got a 1st, two 3rd’s and a 4th. A crazy busy day but so much fun. And finally on 30th we had another successful day out showing with Cupid’s Arrow. Her first time on a big stage. The main arena at Staffordshire County Show. And only her 2nd time competing on grass. She was probably a little greener then she had ever been but that is to be expected with so much going on. She had a very respectable 3rd place in the Flat Ridden Sports Horse and was the best 4 year old qualifying her for the Championships in July. Overall very pleased with her and the marks she received, we now just need a bit more time in the ring to learn what it’s all about. But a great experience for her against the professionals. WOW I feel shattered just looking back at what we did in the last month!! !